Making your winter holiday gifts? 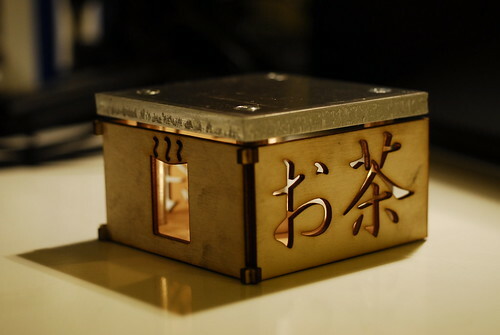 Ken Inoue has been making wonderful presents for his loved ones this year using Inkscape, the laser cutter and some aluminum stock from Online Metals in Ballard. 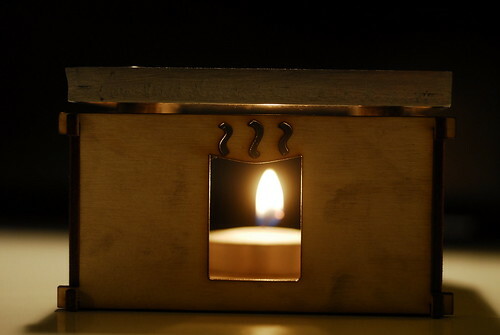 He’s been nice enough to share the files to this smart and simple Tea Warmer on Thingiverse. We love to see people make awesome things and share them with others. From the beginning at Metrix Create:Space, we have offered a Thingiverse Discount. If you share with the world, we share with you. Get up to 40% off your laser cut and 3D printed parts by becoming a Member today! The best time of the year for making something special for your friends and family is right now, what will you make?